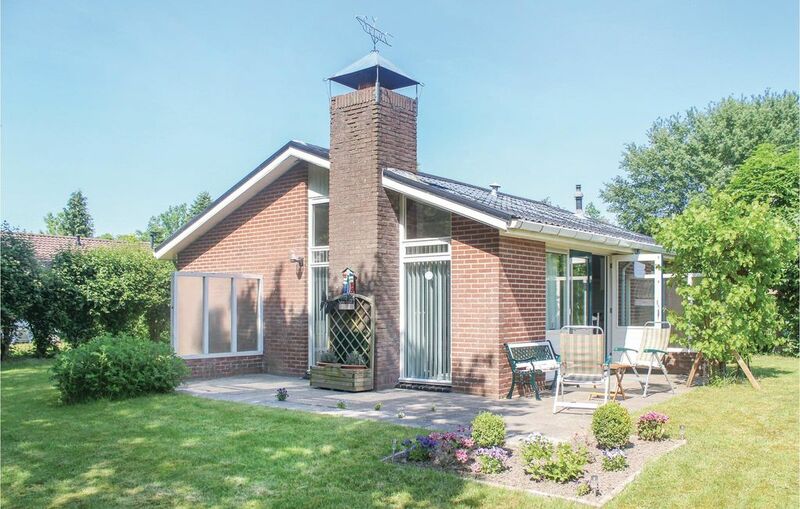 This detached holiday home in Lauwersoog is located in the National Park Lauwersmeer, a beautiful natural area with plenty of water and various bird species. This cottage is a short walk from the beach at Lauwersmeer and the ferry to Schiermonnikoog. The house is nicely furnished and has a cozy living room with TV and fireplace, fully equipped kitchen, three bedrooms, a bathroom with shower and sink and a separate toilet. All rooms are located on the ground floor. Bikes can be safely placed in the barn. Various facilities are within walking distance, as the campsite Lauwersoog with bicycle hire, entertainment during the holiday season and a good restaurant at the Lauwersmeer. Visit the nearby fishing port with information center or relax at the beach of the lake Lauwersmeer. After Pieterburen is only 20 km away. It is a small village and starting point for walks Watt. It also houses the famous seal-breeding station. The port of Zoutkamp and the city of Dokkum are very worthwhile destinations. Along the way you pass extensive meadows and traditional farms. Visit during your vacation absolutely Schiermonnikoog, a characteristic Watt island with a varied landscape, beaches, dunes, forests and wetlands.